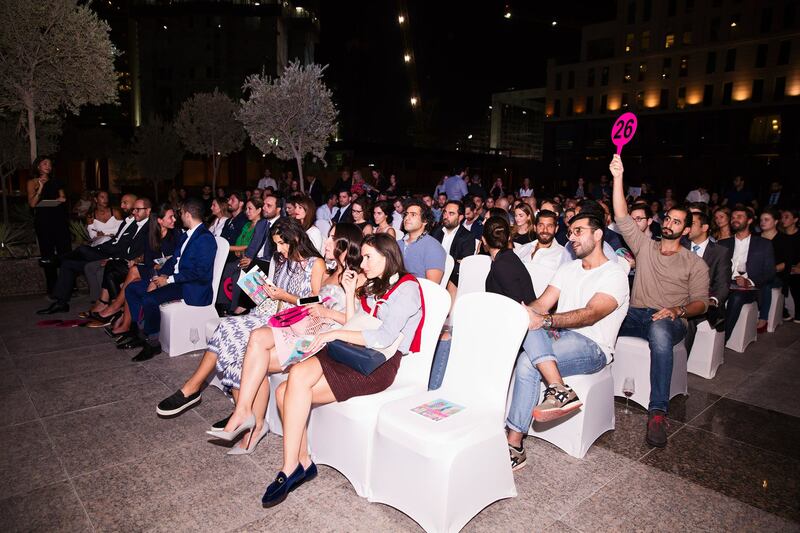 (DUBAI, November 7, 2017) EMERGEAST, the first online art gallery for emerging Middle Eastern artists hosted its fourth live art auction in a series of dynamic annual auctions in Dubai. The interactive event took place at Le Cirque, the Ritz-Carlton in Dubai’s DIFC district. 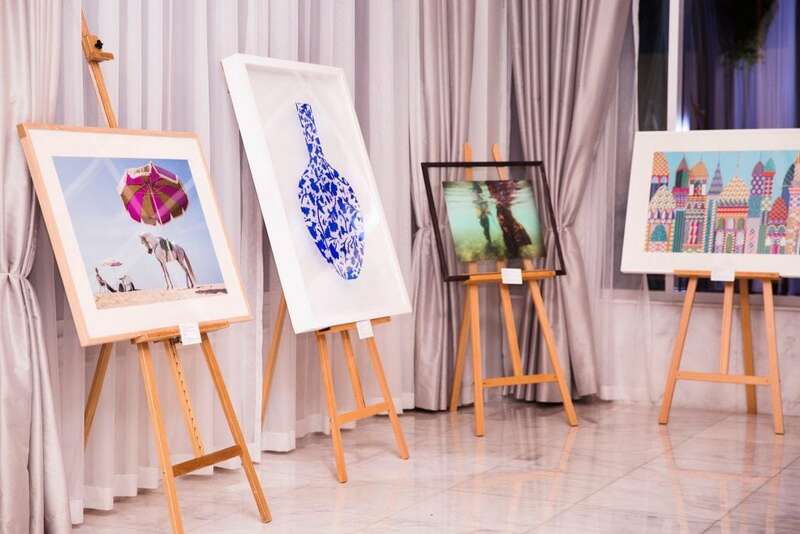 The night opened to a thriving reception of 150 guests engaging with artworks followed by an evening of bidding with 86% of lots sold, realizing a total of over USD 80,000. EMERGEAST showcased a wide and varied selection of exclusive artworks representing the shapers of the Middle East including works from 26 regional artists. The strong audience turnout was reflected, with over 50 registered bidders including international telephone bidders. The auction saw artworks going under the hammer for values of USD 1400 up to USD 7000. The highlights of the evening were artworks by Pegah Lari, Mouad Aboulhana and Helen Zughaib that fetched hammer prices double their estimates. EMERGEAST strongly emphasizes an educational angle to their events through organizing such auctions in order for young collectors to experience a lively format to further build their knowledge of art and expand their art collection. Moving forward, EMERGEAST plans to increase the scope of these events to continue to curate thrilling experiences to a growing generation of young urban collectors through their digital space emergeast.com.